An advertising campaign is being launched in Rio to convince cariocas to improve their behavior. Created by the DPZ advertising agency in conjunction with the NGO RioComoVamos, it’s based on a character called Mané, or jerk, who wears a smart-aleck smile and an ice cream cone plastered to his forehead. In Brazil, a sorvetaço, or a big ice cream [to the forehead], describes a royal screwup. The campaign defines unacceptable behaviors and encourages good citizenship. A mané doesn’t clean up after his dog, parks illegally, litters, and drives on the shoulder, among other taboos. The campaign will have a site (under construction), a Twitter account and commercials, and will partner with businesses and run periodic Mané of the week, month or year contests. Cariocas are encouraged to document “mané behavior” in photos and videos, which will be made available on the site. For those who have Facebook accounts, part of the campaign can be seen here. The Mané character brings to mind a character featured in a 1970s federal campaign for cleanliness and hygiene, Sujismundo. He was popular, but unconvincing. Maybe this time, with Rio busily preparing to receive millions of visitors, cariocas will finally change their jerky ways. 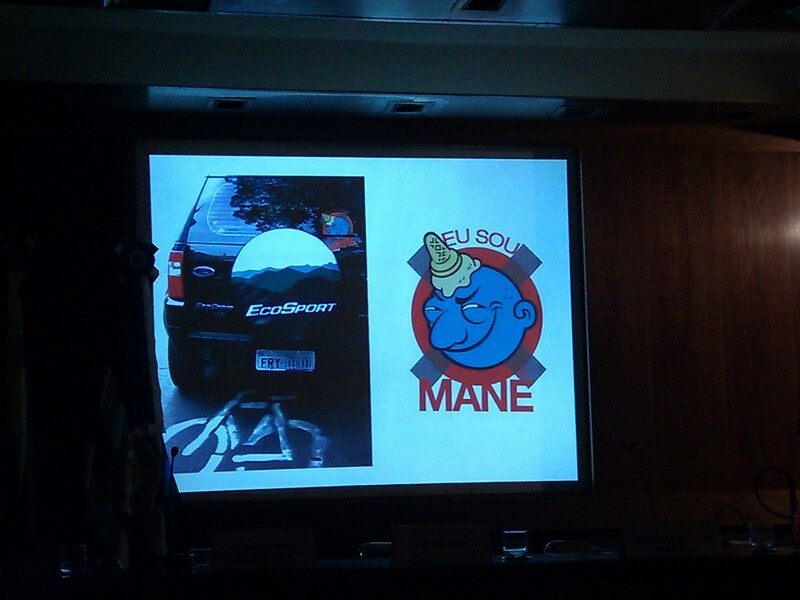 This entry was posted in Brazil, Transformation of Rio de Janeiro / Transformação do Rio de Janeiro and tagged clean streets Rio de Janeiro, Comlurb, DPZ, Joaquim Monteiro de Carvalho, Mané, Rio Como Vamos, Rio de Janeiro revitalization, Sujismundo, transformation Rio de Janeiro. Bookmark the permalink.